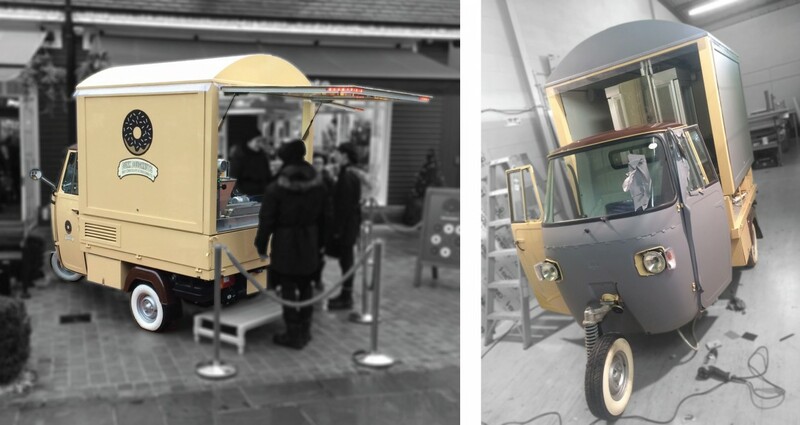 Limesigns enjoys an artisan donut! 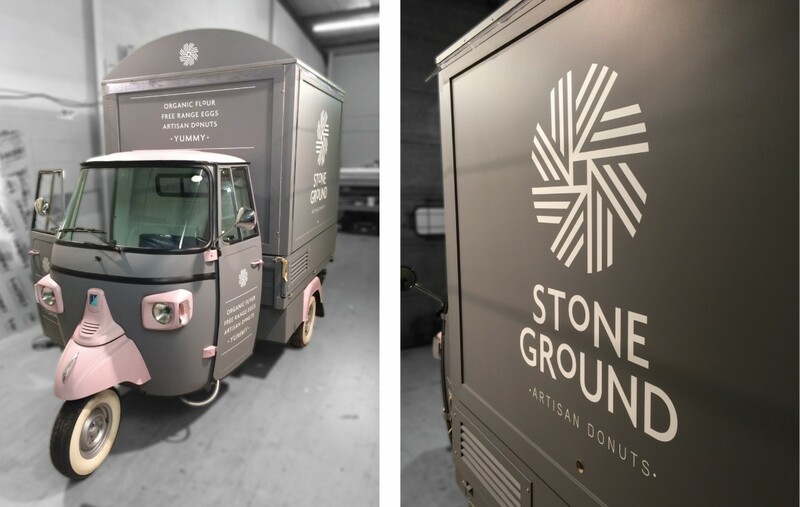 We're thoroughly pleased with the full wrap we recently completed on this Piaggio Ape for Stone Ground Artisan Donuts. 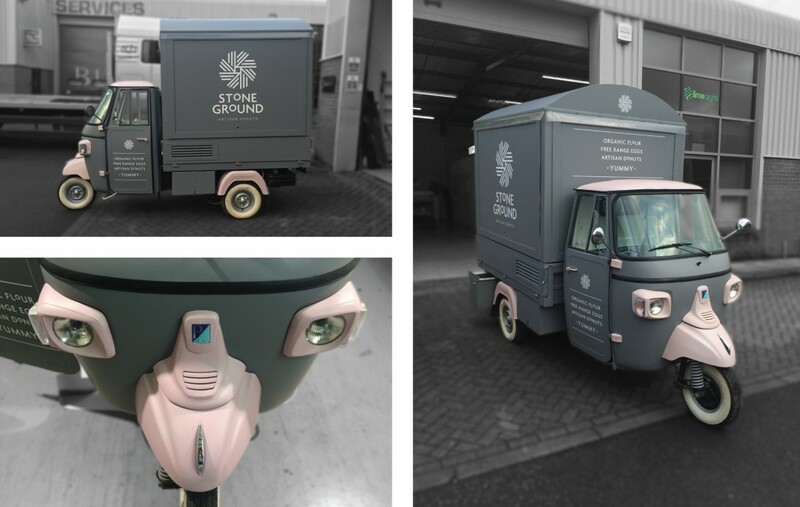 This was a full exterior colour change wrap to matt grey with pink detailing, cut matt white grahics were applied to the sides, rear and front and the interior of the serving hatch was wrapped with a lighter grey. 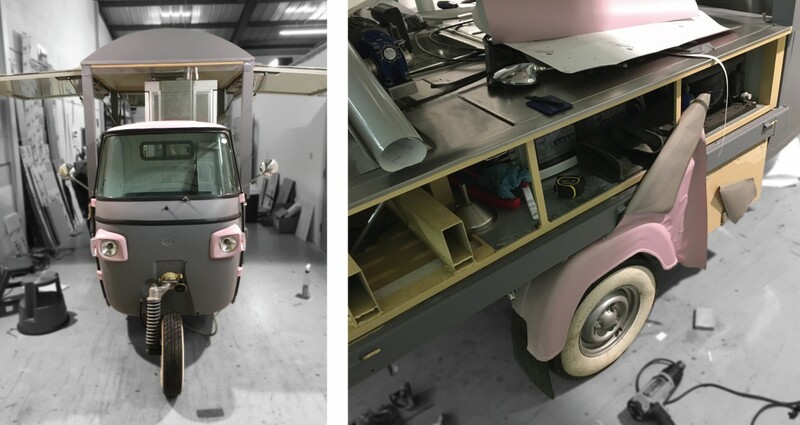 Getting a good finish across all the contours and details of the piaggio was our main challenge but the skill and experience of our fitting team did us proud. 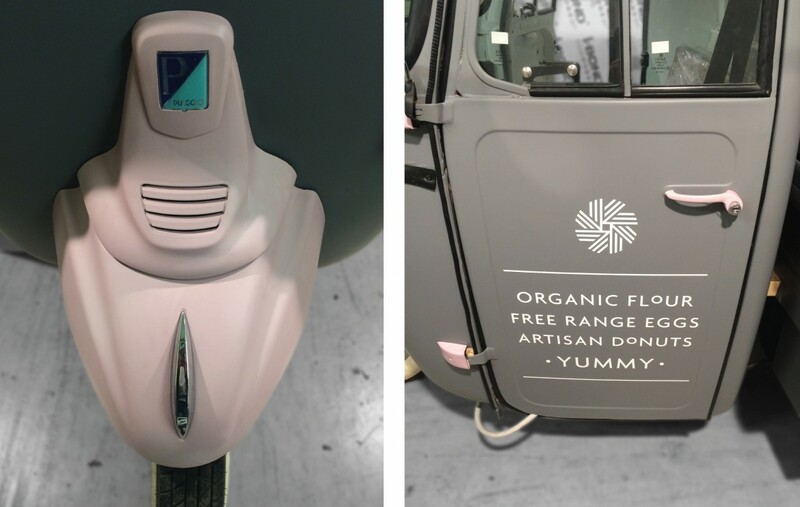 It is a simple task to make things complex, but a complex task to make them simple. Every good idea sooner or later degenerates into hard work. It’s amazing what you can accomplish if you do not care who gets the credit. The shortest distance between two points is currently under construction.